A record 11,650 art enthusiasts attended last year's ArtHamptons fair. The upcoming ArtHamptons art fair will take place in a newly expanded 95-acre pavilion in Bridgehampton and feature work from more than 500 international artists. 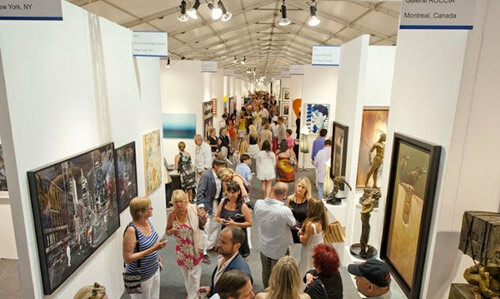 ArtHamptons -- a high-end annual art fair featuring galleries and artists from around the world -- will be held this year from July 11 through July 14 in Bridgehampton. Now in its sixth year, ArtHamptons will be taking place at a newly expanded and redesigned 50,000-square-foot pavilion that features a dramatic sculpture park (the Sculpture Fields of Nova's Ark) and plenty of parking for the more than 11,000 attendees who frequent this popular art event each summer. 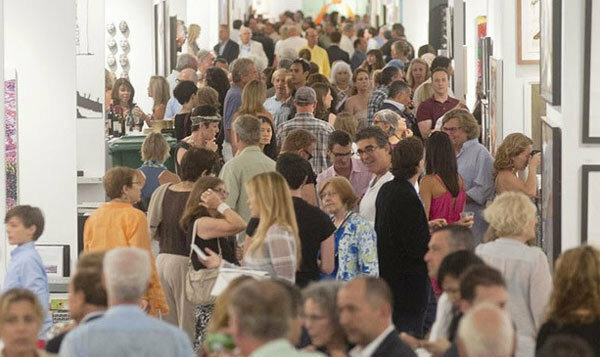 Although ArtHamptons prides itself on being designed specifically for artists and collectors from the East End community -- it is curated and organized by and for Hamptonites -- the list of exhibitors is global in scope, and attendees travel from around the country to view and purchase art. A total of 71 dealers from 10 countries will exhibit in this year's event, including Tibor de Nagy Gallery (New York City), Gerald Peters Gallery (New York and Santa Fe), Newbury Fine Arts (Boston), KMFS Fine Art (Darien, Connecticut), Jim Kemper Fine Art (New York City), Peter Marcelle Gallery (Bridgehampton, New York), Gaga Gallery (South Korea), Frederic Got Gallery (Paris), and Eli Klein Fine Art (New York City and Beijing). There will be more than 500 artists exhibiting close to 3,000 works of art, representing a range of media, styles, and subject matter from post-war, modern, and contemporary painters and sculptors. Price points range from modest to major, and ArtHamptons generates millions of dollars in sales each year. Close to 3,000 works of art will be looking for new homes at this year's ArtHamptons. Several special events are taking place throughout the four-day weekend, including a VIP opening preview party on Thursday, July 11, to benefit East End museum and performing arts center Guild Hall; a book signing with Eric Fischl for his new book, Bad Boy: My Life On and Off the Canvas; "Art Speak: Curators in the Community," a panel discussion moderated by Helen Harrison, the director of the Pollock-Krasner House and Study Center, on Friday, July 12; "Meet the Honorees," a panel discussion honoring several patrons and foundations in art and moderated by Benjamin Genocchio, editor-in-chief of Artinfo.com and Art+ Auction; and more. This article was featured in Fine Art Today, a new weekly e-newsletter from Fine Art Connoisseur magazine.